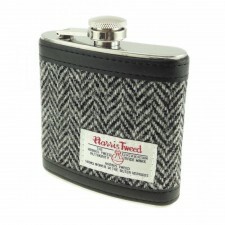 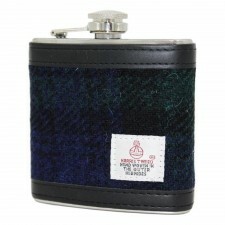 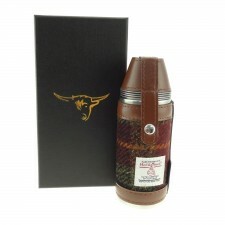 This Authentic Harris Tweed Hunting Flask in Gunn Tartan makes a fantastic gift. 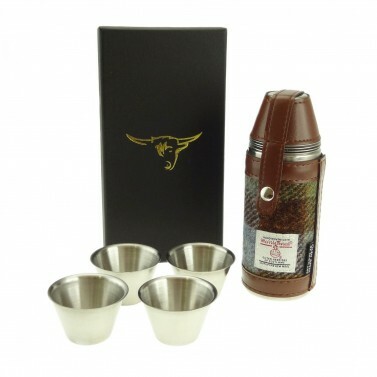 It comes complete with 4 stainless steel cups and is ideal for camping or outdoors. Authentic Harris Tweed tartan hunting flask in a Gunn tartan.